Five Guys heck yeah. 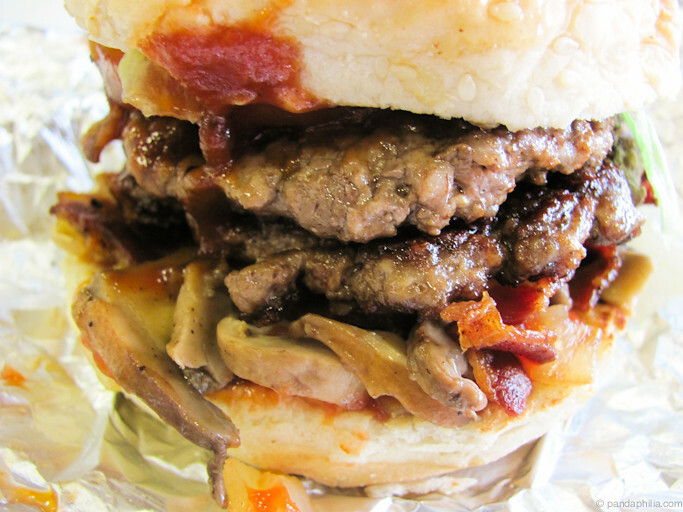 The best burgers on the planet - double patty, barbeque sauce, mushroom, bacon goodness. Inspired by the infamous tumblr: Burgers and Nails. This was from a mall trip a while back, pre-Winter Break. Triumph of the day: learned that simply inputting a width upon export on Lightroom resizes my photos automatically. The easy button does exist! 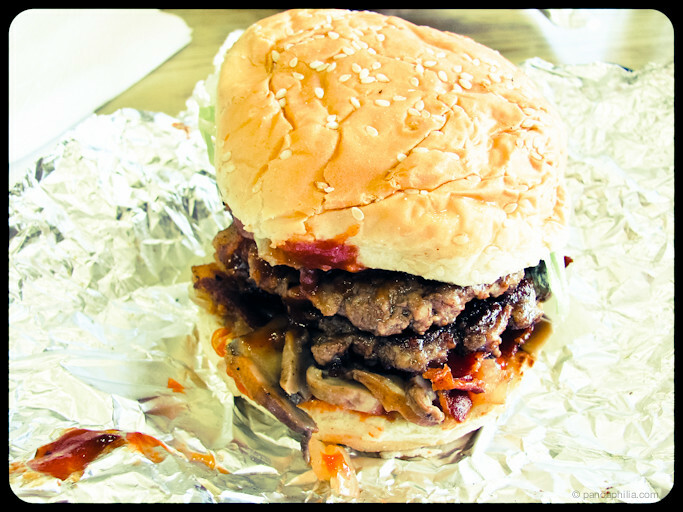 Readers - what's your favourite burger joint? 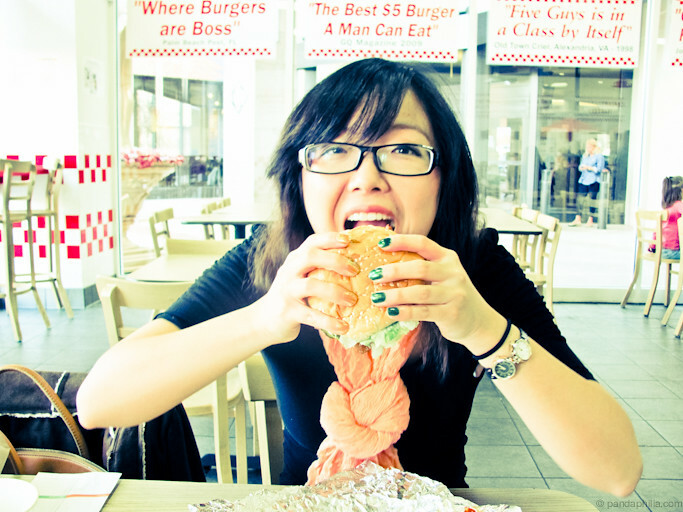 LOLL that burger is HUGEEE XD!! why not in and out???? Also I can't help but notice how unique and awesome your watch is!! yumm yumm yumm! i love your nails!!! the gold is so pretty!! and i like how you have 2 diff colors!! That looks delicious! Pretty nails too. I love shake shack in NYC and I just tried Urbun Burger in Sf that was good! That first picture is so funny ! Your nails look really cute. I love food! Great nails and scarf Angie! 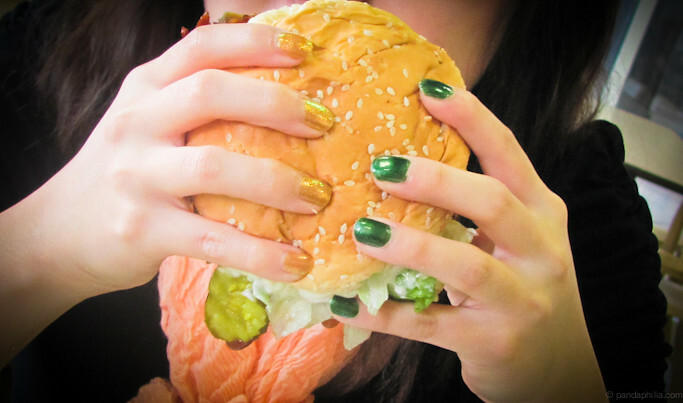 Love the color of your nails and that burger looks delicious. Totally making me hungry! nom nom nom! ;) I love your fancy nails btw! 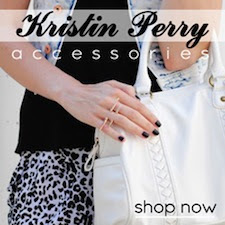 I am doing online shop selling cool Japanese cosmetics, so plz check it out if you are interested! ThanX! wow, I can almost taste that burger. Yummy!